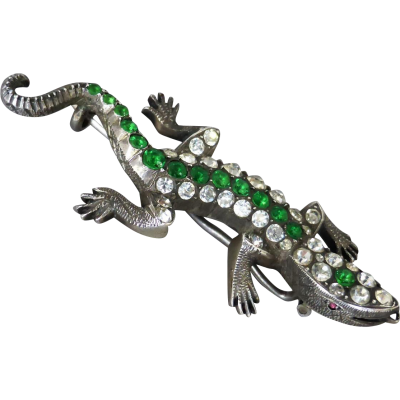 A striking antique lizard brooch from the late Victorian era, circa 1900 or so! 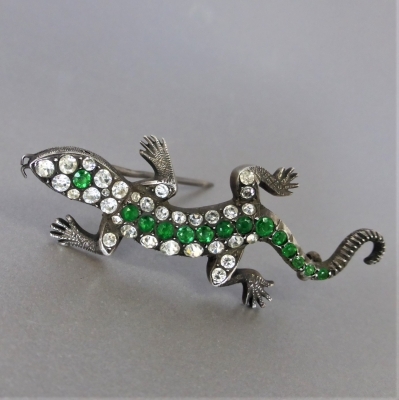 The 935 silver brooch possibly originates from Germany, and features bright green and clear foil-back paste stones encrusted along the top of lizards body. 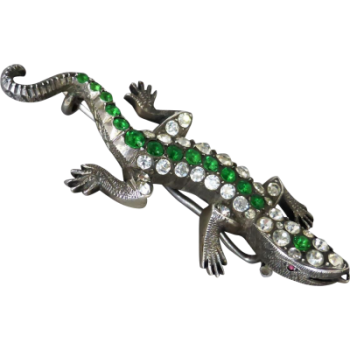 The lizard is supremely detailed, including webbed feet, partially open mouth, a forked tongue, long curved tail, and pink stones depicting its eyes. 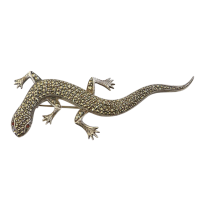 Adding further charm is the etched pattern along the sides of head, tail, and feet - the pattern depicting the texture of scales of a real life lizard! 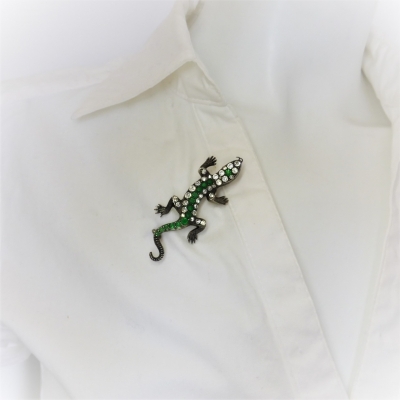 The lizard, otherwise known as salamander, looks incredibly 'lifelike' with its sinuous curves, three dimension profile ... right down to the tail end where there is a grooved pattern! 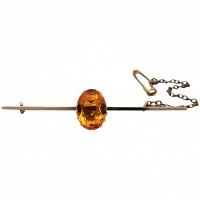 The underside of the brooch reveals a sturdy pin with 'C' clasp, allowing brooch to be fastened to a favourite garment. 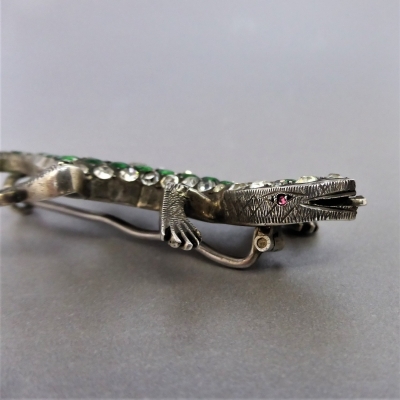 The brooch is stamped "935" in the concave underside, along with another stamp - possibly makers mark - albeit difficult to decipher. 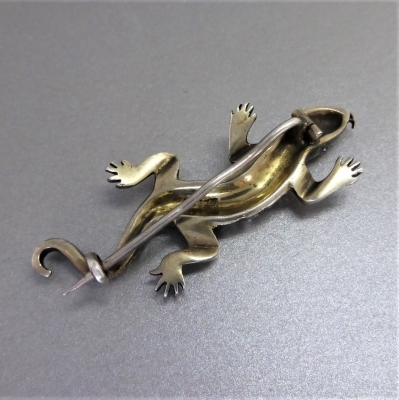 The good-sized brooch measures 6cm (2/30" inch) long. 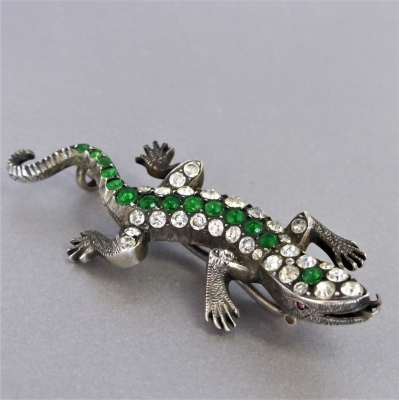 A wonderful and very impressive piece, it would make a dazzling addition to any collar, and collection! Era: late Victorian- early Edwardian c1900 or so! 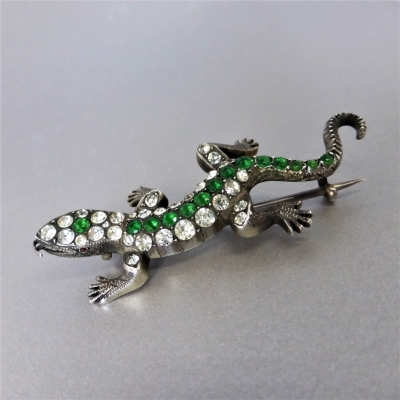 Condition: The overall condition of brooch is very good. 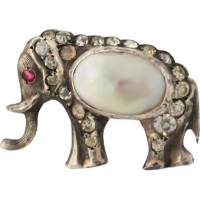 Besides light surface wear to silver and mild abrasions to some of the stones, there is no damage and clasp works well with good tension. There is remnants of possible gilding and a natural patina, adding further depth and character.